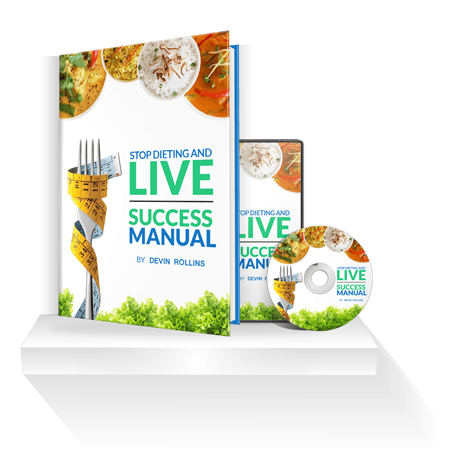 The Stop Dieting and Live program includes all 3 manuals. It also comes with an iron-clad 60-day 100% guarantee, so feel free to try it out. 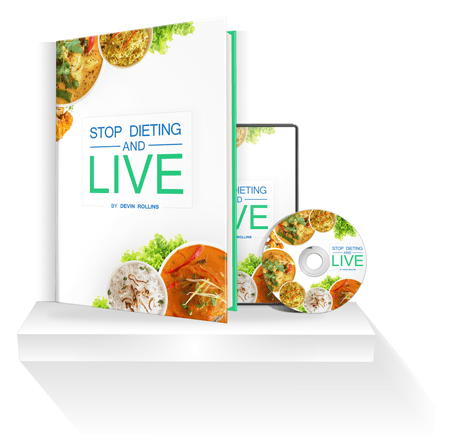 This manual covers all the principles of the Stop Dieting and Live Program. 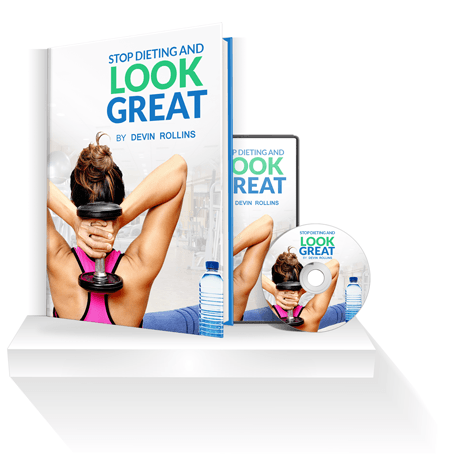 In this book alone, you will have everything you need for successful and healthy weight loss. It discusses the science behind how we gain and lose weight. In addition mindset of weight loss is covered in detail so the program can endure the test of time and lead to life-long changes. The success manual is an extension of the main program. It is where the rubber meets the road, and you start making meaningful changes. There are thousands of variations on weight loss ideas you can easily apply to your life. This book will give you step-by-step solutions, and almost hold-your-hand as you begin making adaptable weight loss choices. You’ll see that without restrictions or limitations, you can be very successful. 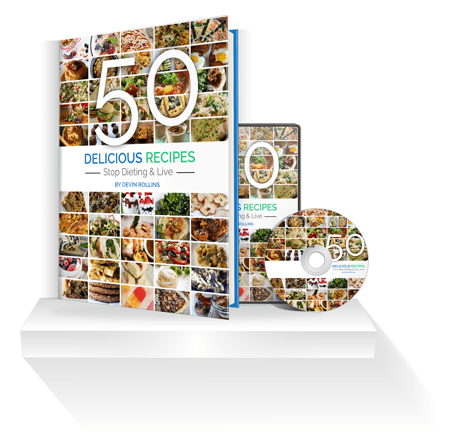 This manual contains 50 delicious recipes that taste great, but are also healthy. But remember, this program doesn’t limit you to any specific foods or recipes. This book is just an added bonus that you can enjoy. You can consider these recipes as icing on the cake. This program gets you access to a fitness and exercise program led by our two favorite personal trainers, Shayna and Khaya. You’ll feel their motivation and want to lose weight as you watch their high quality videos. You’ll also learn a great deal about safe and effective training for life. The video modules will give you a step-by-step plan on how to exercise, from start to finished. Plus the training modules include adaptations so you can start at any fitness level. There is not better course for getting started with fitness and exercise. Get Started With Any Of Our Products Now. 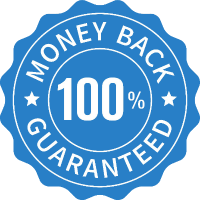 You're protected by our 60-Day Money Back Guarantee, so there is zero risk to you. Simply try it out, and if you are not absolutely satisfied with your results, just send us an email and we will give you a 100% refund, no questions asked.